As you begin your professional journey we will encourage you reach your full potential and achieve excellence in your chosen discipline. We also want you to enjoy your time with us and hope that you will embrace some of the social and recreational opportunities that are such an important aspect of university life. 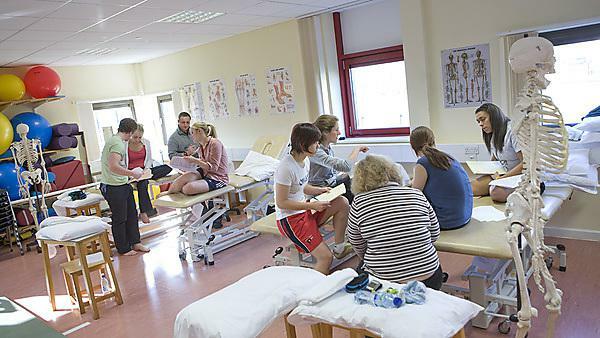 These activities will help familiarise you with your chosen programme, introduce you to the Peninsula Allied Health Centre and the main city centre university campus and also signpost some of the support services available to you. If you have a needle phobia please advise occupational health before you start by emailing: plh-tr.OccHealth-preplacementscreening@nhs.net. You will need to quote your name, date of birth and course in any email to occupational health. It is compulsory that you attend this session so that your uniform fits properly and is ordered in time for your placement. We cannot issue your card if you do not bring your passport. Please note: your card is required to use the free bus scheme. If you are currently a student on a different programme and already have a University of Plymouth card without the bus logo, please email: pahc.reception@plymouth.ac.uk and we will arrange for a new card to be issued. If you require more detailed instructions for creating your Open Site account and completing the name badge and self-declaration forms, please see here. The programme team recommends the purchase of the following physiotherapy books. We have carefully selected these titles, which will not only be useful for the first year of the course, but also for subsequent years as introductory texts. They should be available in the library, so you may choose to wait until you start and view them first, particularly where there is a choice offered. Students have previously found the following useful as companion books, particularly on placement, but they are not essential or a replacement for any of the above. In addition there are various “flash cards” and other aids available for anatomy. You may discuss the value of these with staff and other students after you start.